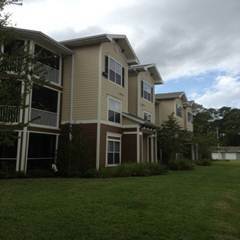 On November 15, 2012 Venterra purchased Cypress Pointe Apartments in Orange Park, Florida, one of Jacksonville’s top submarkets. This is a 194-unit property constructed in 2007. Cypress Pointe has very large unit sizes averaging 1,176 square feet and the property also includes 66 detached garages. Residents have access to amenities such as the clubhouse, resort–style pool, fitness center and playground. This is Venterra’s 3rd property in the Jacksonville market.